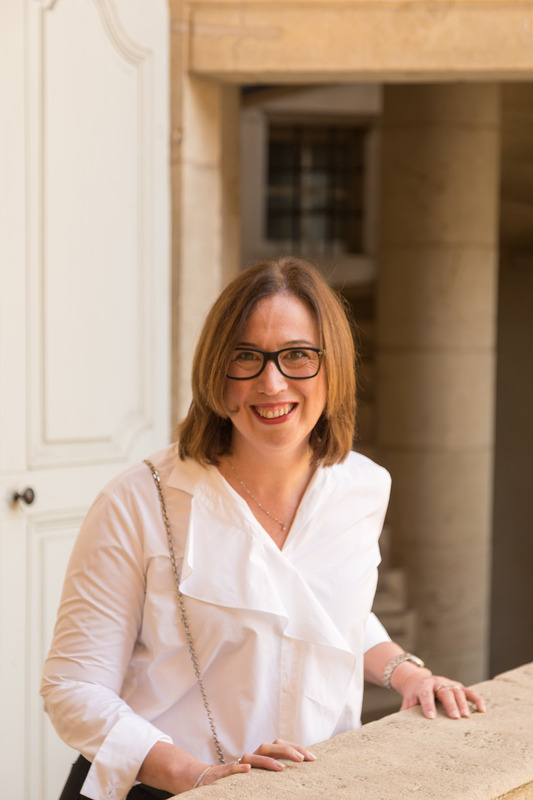 Last week’s guest post from Claire – the Multiples Of Two Packing Plan – really resonated with the Distant Francophile community. Who doesn’t love picking up advice from fellow travellers. 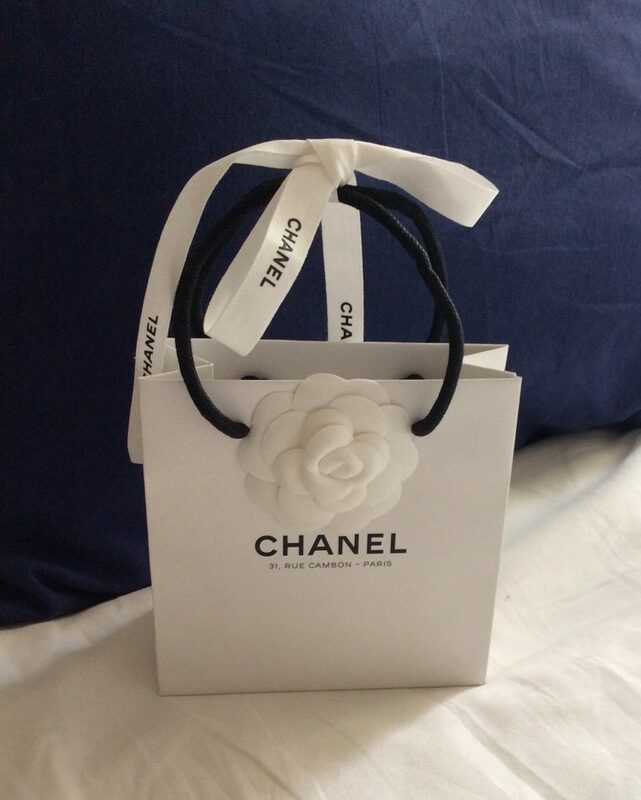 Well, luckily for all of us, Claire has generously agreed to share another of her packing lessons – thank you so much and over to you Claire! And therein lies my problem. While I’m definitely a minimalist packer and traveller, I have a fair few lotions and potions in the bathroom cupboard. Having said that, I’ve decided to travel with essentials only. I’m sure my skin won’t miss the rest. Having returned from four weeks away with some very definite ideas, I hit the shops to find the items I would have preferred to travel with while the ideas were fresh in my mind. A contact lens case – a great tip I read for travelling with small amounts of liquids – make up, concealer or a special cream. Both my make-up and toiletries bag pack flat and fit on top of my case. The important thing to remember is that most countries have supermarkets where all of these items are easily recognisable. You only need enough for the first few days, particularly if you are staying put in an apartment. My Ah-Ha moment came when I thought to create an ‘in-flight bag’. Once onboard, I put my bag away and prefer not to be up and down getting things from it during the flight. Likewise, I don’t want things around my feet. My in-flight bag is a small plastic bag that a collection of plastic toiletry bottles came in. It is structured and see through so things are easy to find, it zips up so items don’t fall out and it is small enough to fit in the seat pocket. Small tube of pawpaw cream – lips, nose, nails, itches, rashes or anything else. Thanks again for sharing your tips Claire. You certainly learned a lot on your recent trip! 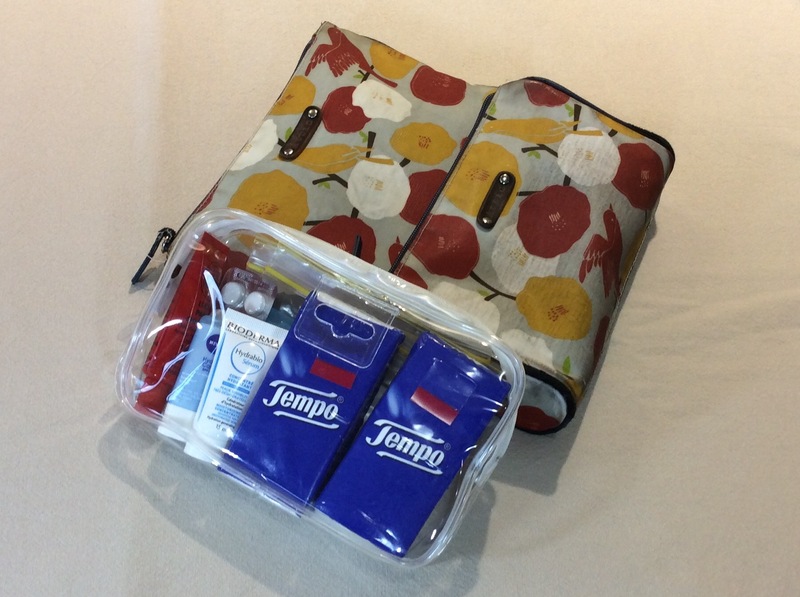 Do you have any favourite toiletries packing tips? What about in-flight packing tips? If so, please share them in the comments section below. And, you can find my favourite tips for making a flight more comfortable right here. Do you re-arrange the toiletries into your inflight bag after security? Some places go nuts if you have even a lip gloss or lipstick outside the official bag (they didn’t seem to me to be liquids or gels, but one doesn’t get to discuss–I was lucky they didn’t toss it). I think you can buy individual hand wipes, like they give you in restaurants (or on the plane). For soap, I like Dove. I’m looking for a solid shampoo. Besides not using space in the precious 1-liter plastic bag of liquids, it’s one less thing that might leak or spill. Rather than a lotion for face and body, I go different two-for-ones: a tinted moisturizer or BB or CC cream and no foundation, then baby oil to remove makeup and to moisturize the body. Though the best makeup remover is Bioderma micellar water. I’ve never had my toiletries looked at and no one has ever questioned what I have carried. I too love Dove soap and used to buy the tiny one. I can’t find it any more so went to Lush, a body and face product store, and they cut me a small piece of soap from a large block. I think they also sell a solid shampoo. Bioderma micellar water is my favourite makeup remover too. And like Claire, I’ve never had a problem when travelling with toiletries. Having said that, I always make sure that any liquid or gels (including lip balms) are safely travelling in my in-flight liquids bag…the authorities in Australia are pretty strict on all that stuff! Someone mentioned to me yesterday that they travel with toothpaste tabs to use in flight. I’ve never heard of them but they replace a tube of toothpaste. I’m off to do some research. I’ve never heard of them either Claire. I’ll be interested in what your research kicks up. An interesting visit to Lush, a store I normally avoid because of the overpowering smell. Once you are inside it is less noticeable, or you quickly become used to it. All their products are natural, chemical free and solid, a bonus for travellers. There were solid deodorant products and solid shampoos and conditioners in many colours and flavours that all smelled lovely. Lots of different face and body soaps as well as fun bath bombs and a play dough like bubble bath/soap. The toothpaste tabs were in small bottles on the front counter and come in many flavours. I chose the black, charcoal based ‘Boom’ that was sweeter than I expected and the white, minty ‘Miles of Smiles’ that was slightly saltier than expected. Both were easy to use, have your wet toothbrush ready and quickly bite and chew and then get brushing. Very foamy, nice tasting and effective. Definitely some products worth considering to reduce liquids and the risk of spills while travelling. Great work Claire!! I would never have thought to look at Lush for toothpaste tabs. Next time I’m in the city I’ll check them out…I like the idea of reducing liquids in my carry-on. Thanks for looking into this for all of us.